Ganesh Chaturthi, birthday of Lord Ganesha, is one of the popular Hindu festivals. This festival is observed throughout India, especially in the states of Maharashtra, Karnataka, Tamil Nadu, and Andhra Pradesh. Ganesh Chaturthi being the most important of all Maharashtrian festivals is celebrated with splendour and zeal. Country Club also celebrates Ganesh Chaturthi this year with its members. 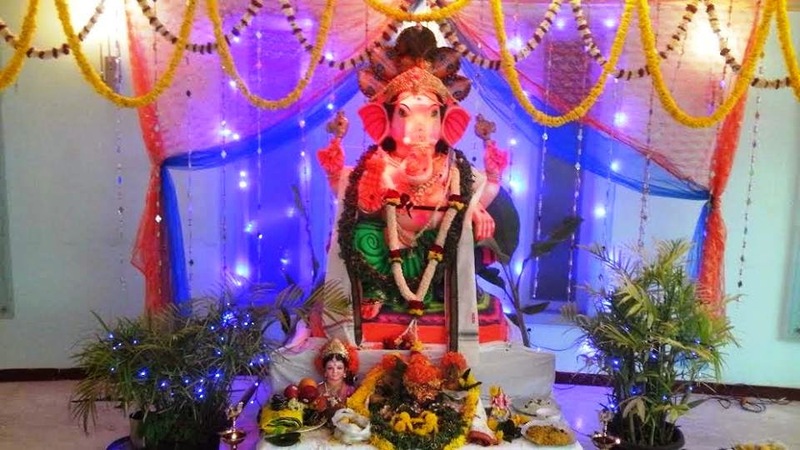 On the occasion of Ganesh Chaturthi, Country Club India is beautifully decorated and the puja is performed. Many cultural activities are held during these days of festivities that add on to the enthusiasm of people. Country Club wishes its members a very happy Ganesh Chaturthi and calls them over to celebrate this festival with a lot of joy and happiness. During this festival people are in good spirits and what better way to celebrate than coming to Country Club India and enjoying the festive mood to the fullest.